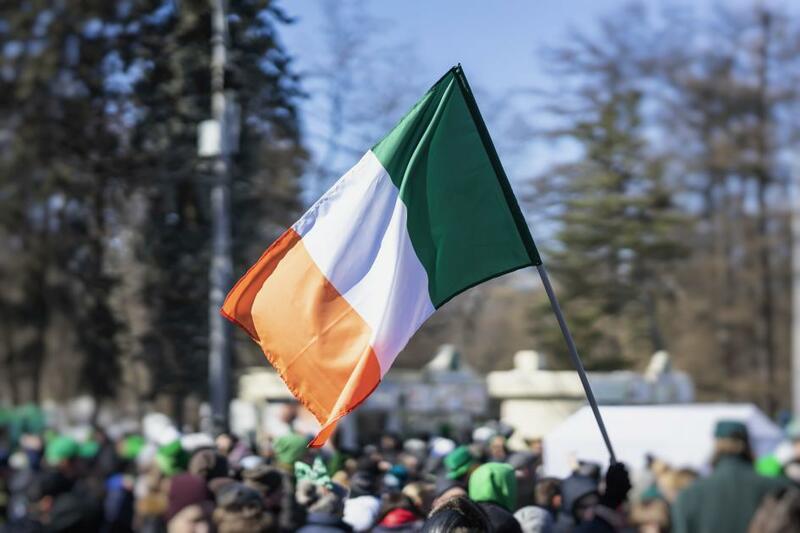 WORCESTER – It’s been a long wait for the 37th edition of the Worcester County St. Patrick’s Day Parade. The parade — which was originally scheduled for March 10 and was rescheduled due to inclement weather — is set for this Sunday, March 24. ThisWeekinWorcester.com has put together a guide — everything you need to know before and during the parade — for the thousands of folks that will be in attendance on Sunday. Where: Parade starts at corner of Mill St. & Park Ave; Ends at corner of Park Ave & Highland St.
Who: Grand Marshall: Worcester Police Officer Sean M. Lovely; Parade Mayor: Elisabeth Doyle. Get there early. – If you have kids, they get a spot at the curb to see the whole parade. If you don’t have kids, you get a good spot at the bar. It’s going to be in the mid-50s. – Dress for it. And wear sunglasses. Eat a solid breakfast. – Yes, restaurants will be open on Park Ave. However, trying to find a place to sit and eat will prove to be difficult. Charge your cellphone before the parade – Things happen. People get lost. You’ll need your phone to keep tabs on your friends and family. And to call for a ride after the parade. Bring cash – Cash is king. And some bars will have “Cash Only” beer tents set up outside. Don’t be that person trying to run a tab at a packed bar. – Pro Tip: Walk against the parade [if the parade is coming towards you, you’re heading in the right direction (so you don’t miss any of the parade)]. END: 9. The Blarney Stone – 79 Maywood St. The parade begins at noon and the route stretches approximately 2.1 miles along Park Avenue. Motorists are asked to avoid this area and seek alternative routes from 10:00 a.m. to 3:00 p.m. The Celtic 5K will start at 11:00 at Elm Park and will be an “out and back” loop of the parade route which takes place on Park Avenue (from Elm Street to Webster Square). Beginning at 6:00 a.m. Park Ave from Highland Street to Elm Street will be shutdown. Leading up to the road race, motorists traveling North on Park Ave will be detoured onto Elm Street and will be directed around the park in order to reenter Park Ave. Southbound traffic will be redirected around the park as well to reenter Park Avenue at Elm Street. Beginning at 10:00 a.m. Elm Street will be closed from Russell Street to Park Ave. There will be intermittent traffic flow East to West across Park Avenue when possible (Pleasant St, Chandler St, etc.). However, it is highly recommended that motorists seek alternative routes during the parade. Undercover and uniformed police officers will be positioned along the parade route and in the most populated areas focusing on the crowds that are expected to line the street. Command officials will be monitoring the parade from the department’s Real Time Crime Center located on the third floor of Police Headquarters. Additionally, the Worcester Police Department has been collaborating with the Massachusetts State Police to prepare for the parade. Massachusetts State Police bomb and explosive detection dogs and their handlers will be deployed before and during the parade to conduct a sweep of the area. The department would like to remind the public to be aware of their surroundings and to report any suspicious activity. Citizens can utilize the department’s text a tip service- If anyone has information for police they can send an anonymous text to 274637 TIPWPD + your message or send an anonymous web based message at worcesterma.gov/police. Calls can also be made to the Worcester Police Department at (508) 799-8466.